Starting Your Own Business: Where To Begin? If you’re sick of working for “the man” day in and day out, then you are not alone. Many independent entrepreneurs have gotten their start in the sales and marketing industry because this market is an ever-growing source of revenue. Many entrepreneurs have tapped into TravelHost’s network of like-minded publishers in order to stop working long hours at desk jobs with minimal pay and little to no recognition. Create your business plan by mapping out how you will start and run your business successfully. What products and services will you offer? Who is your demographic? How will you produce and distribute your product? The key to making a great business plan is flexibility. Make sure that your plans can change over time and adapt to your market as you see fit. Keep in mind, it’s important to keep your core values consistent throughout all of your dealings and operations. Stick to a mission statement you are proud to live by each day. Your company description should stay the same, whereas your market analysis should be an ongoing step in your plan so that you can adjust your financial projections, organization, and management in regards to demand. The concept is simple: explain your business in 30 seconds or less. Refine your pitch to include a basic explanation of what you do, what you need, and what your goals are for doing business. You’ll be surprised at how many people you can get on board when you refine your elevator pitch! Attend training and counseling sessions to help grow your business skill set. Never hesitate to ask for help when you need it and take advantage of any free classes you come across. Keep your ears open and stay open-minded about any new networking opportunities you stumble across when developing your industry knowledge. Does your business need a customer-friendly location that complies with zoning laws or will you work remotely? Establish brand recognition regardless of where your location may be. From government-backed loans to venture capital and research grants to help you get started, there are countless ways to get your business off the ground and running. Becoming a Publisher for TravelHost can help you get access to the resources you need. How Will You Do Business? Register your business name with your state government and navigate the legalities behind which type of business you choose. Is a Limited Liability Company (LLC), sole proprietorship, or nonprofit business right for you? Decide which form of ownership is best for you based on your needs and the needs of your team. Learn which tax identification number you’ll need to obtain from the IRS and your state revenue agency. Now that you have a business structure, it’s time to register with your state to obtain a tax identification number, workers’ compensation, unemployment, and disability insurance. Huge fines can result in failing to fill out the correct tax forms. Get a list of federal, state, and local licenses and permits required for your business. Avoid fines by operating within business regulations put in place. Are you the only member in your business or do you have employees you are responsible for? Understand the legal steps you need to take to hire employees. Contact your local Small Business Administration office to learn more about how they can help you. From seeking out local businesses to partner with to networking within your industry, it is important to stay active within your community. Leaning on a support system of local entrepreneurs can help make you successful. When you are a kid and thinking about your future you typically turn to the idea of running your own business and being an entrepreneur is how that happens. What does not happen is that a business pops up overnight. Those stories of overnight success are only because that is when people noticed but the reality is that a lot of hard work goes into operating a successful business and it all starts at the beginning. Seems like a simple concept, but it can often be overlooked. 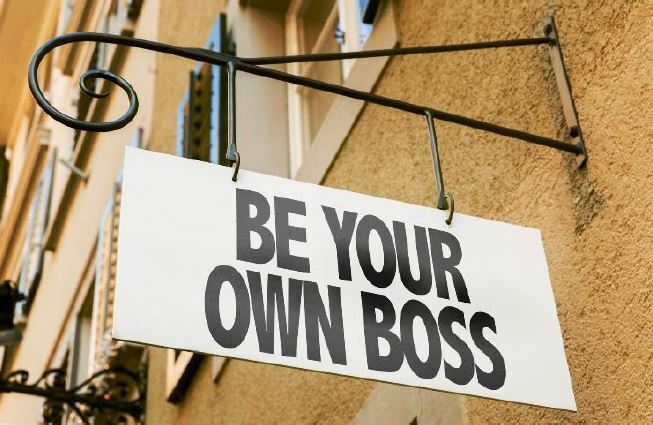 These 10 items will help you get started with your own business.